If you are looking for free, high-quality Custom Content for the Sims 3, you have come to the right place! I am mainly known for my recolorable patterns, but I also love to create EAxis-match style clothes with handdrawn textures and lots of detail. You can also find makeup, jewelry and other fun things here. If you want to know more about me, find tips and tutorials and see new content in the works, check out my tumblr! You can leave comments on all of my creations on the individual download pages or write in my guestbook. I'd love to read what you have to say! Here, you can see the recent updates to my site, in chronological order. You can find older news in the News Archive. It is that time of the year... my website costs are due and I could really use your support. I know I have not done a major update in a long time. If you follow me on tumblr, you know I have struggled with health issues in the past few years. I just do not want to give up! I just released a brand-new pattern collection and I want to continue working on new things and update some of my older stuff. I provide an ad-free site (who has that anymore? ), and have an easy-to-memorize URL. If I were to stop paying the website, I would lose the URL, all links to my creations would be broken and you would see annoying ads on this site. I really, really do not want this to happen! If you like my downloads, please consider making a small donation. The annual cost for the website is 60€. You get to enjoy an ad-free site with high quality custom content downloadable for free and without any paywalls. You can use any third party link to find direct links to my downloads. You help me to maintain my website and pave the way for future content updates! You find the paypal link on this site. 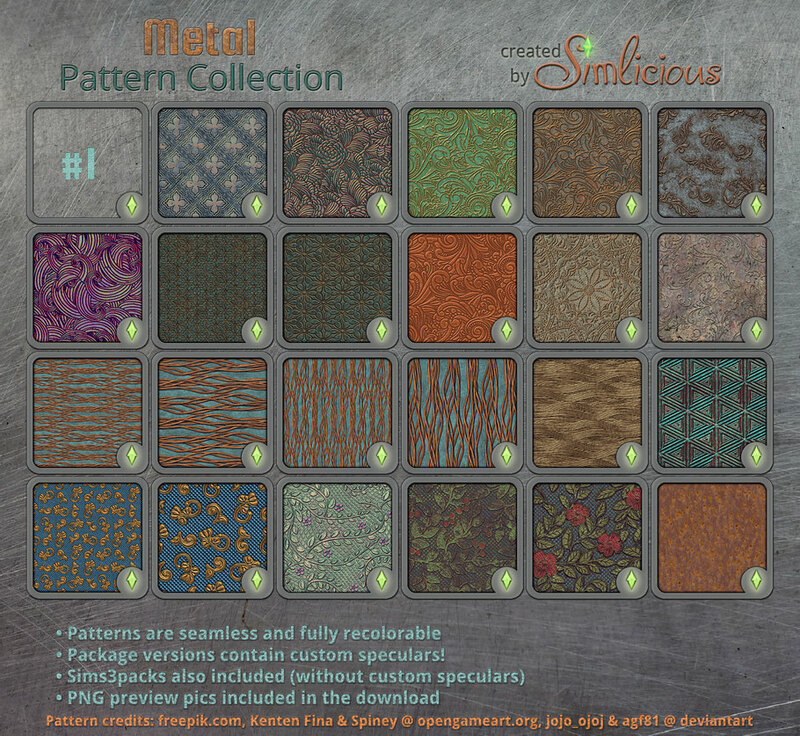 Shiny new metal pattern collection available now! 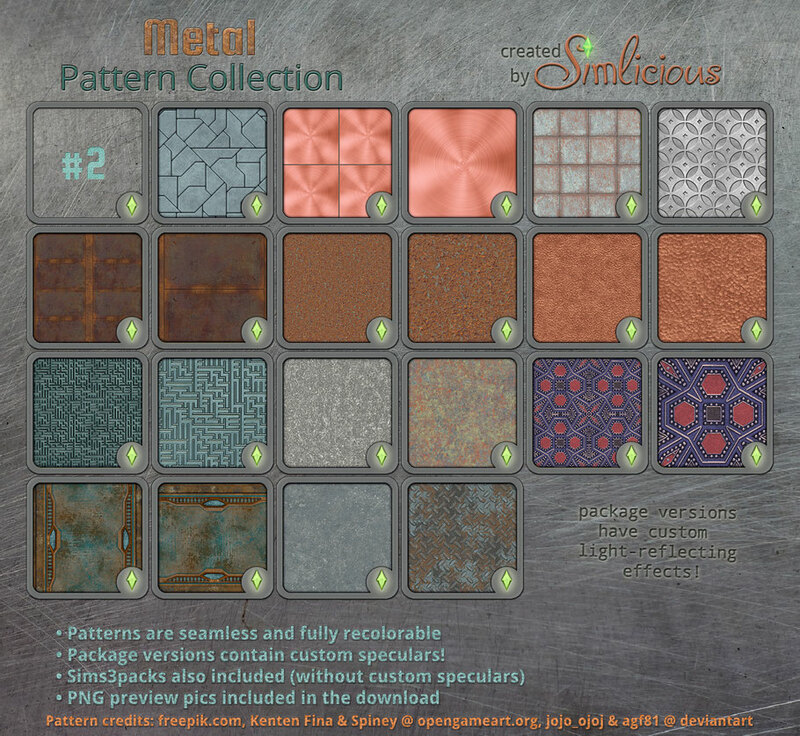 Download my new metal pattern collection! Its is pretty special, as it features custom speculars. Hope you enjoy! 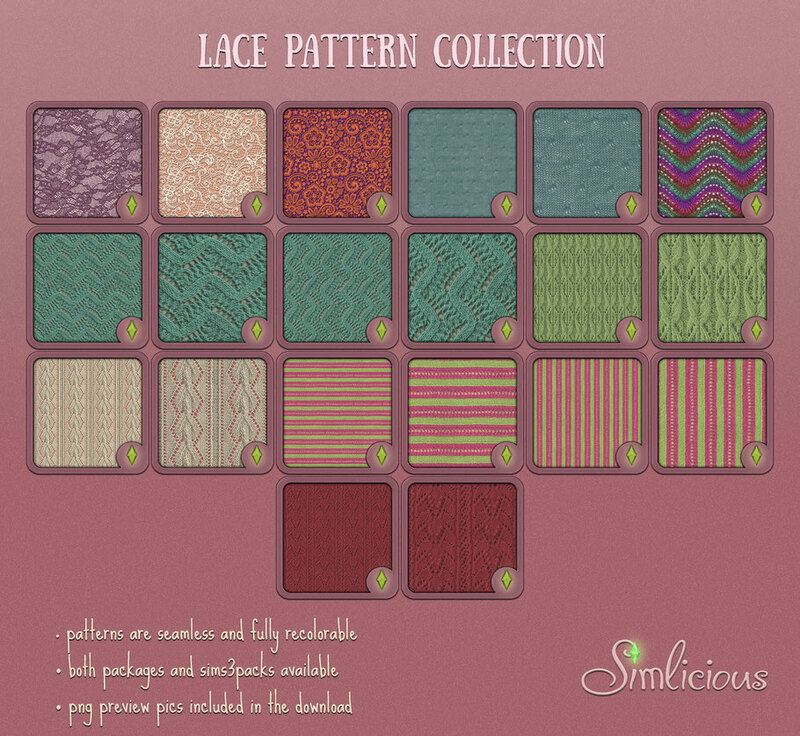 Lace Pattern Collection - thanks for your donations! My newest pattern collection is here. 40 lace patterns! This is collection is a special thank you for all donators who participated/want to participate in my currently running donation drive this year. If you want to donate, click here.